The experience alone will make you smile! We value your time and do our best to run an efficient schedule to ensure that you don’t have to wait to be seen at your scheduled appointment time. You will receive an appointment reminder 1 to 2 days prior via phone call, text message, or email (whichever method you choose which we determine at your initial consultation). If you need to reschedule an appointment, please call our office as soon as possible as we reserve appointments 4 to 6 weeks in advance. Kindly give us a 24-hour notice if you must cancel an appointment. Almost all of our patients prefer to be seen after school or work. However, it is impossible for us to see everyone at this time. We have devised a schedule template that allows us to complete our work, run on time and see the most patients during prime afternoon hours. Given this, we request that you alternate morning and afternoon appointments as needed. We have two types of appointments. Short and Long. Short appointments are approximately 10-20 minutes in duration and are scheduled throughout the day. However, after 3 p.m. only short appointments are scheduled. This allows us to see the maximum amount of patients during these peak hours after school or work. Long appointments require 30 minutes or longer. We schedule these appointments in the morning or early afternoon. We;re happy to provide you with a work/school excuse for these appointments. We pride ourselves on giving the best quality care possible. We are able to do this by seeing patients at their reserved appointment time. If you are late, we may not be able to see you right away and may need to modify your treatment plan for that day. If you miss or cancel an appointment, we may not have an immediate opening for you. We will do our best to find an appointment that works with your schedule as soon as possible. Chronically missed or cancelled appointments may result in you being charged for the missed treatment appointment. Our office hours vary by office location. Please call us for this information. There are very few true orthodontic emergencies. Most problems can be fixed at home. However, if you have a situation that you cannot resolve, call us as soon as possible so we can answer any questions or schedule an appointment during office hours. We are now sending appointment reminders via text and voicemail. 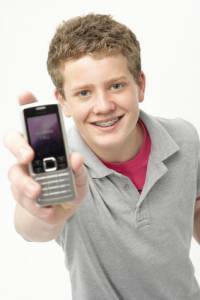 Depending on your text messaging service, you may incur a message fee. So, if you would rather receive only voice messages on your home phone, please call our Warren office 330-372-3200 or our Hudson office 330-342-0930 to discuss your preferences. Appointments must be set by our Schedule Coordinator. She will work with you to find the most convenient time for your schedule.